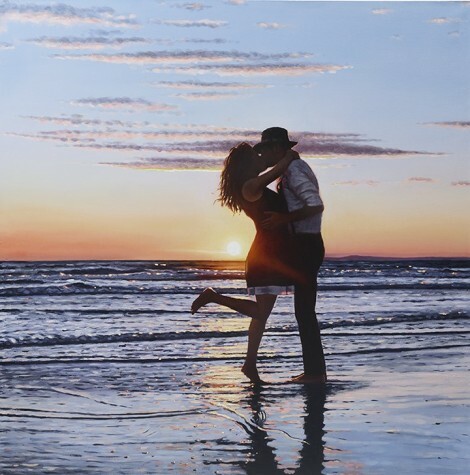 Halcyon Days, artist Richard Blunt limited edition print. Halcyon Days is stunning romantic depiction of a sunset walk from Richard Blunt's Harmony Collection. This limited edition print comes hand signed and numbered by the artist with certificate of authenticity. Framed Size: 34 x 33"
Framed Size: 38 x 38"